We all want more clients (of the “right” kind for us). We do the usual kinds of off-line marketing – networking, giving workshops, getting invited to give talks, using word-of-mouth and asking for referrals from existing clients to name a few. 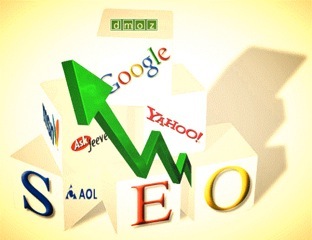 But we know that we should improve our SEO in our website and in all of our social media including our blog posts. So you just finished creating your wonderful site, all the sweat, tears and hard work put into the design, the content, the mood of the site so now what…? Do you just sit back and wait? Definitely not. Once you know the site is optimized and you have done some testing, then the next step is to let Google and Bing know you are here. Don’t just wait for them to find you. 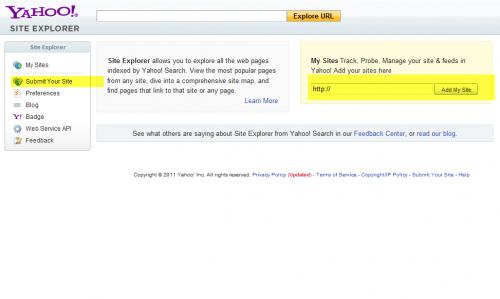 You will have to follow the instructions for site verification. See screen shots below to give you an idea. If you wish to submit to Yahoo, you also must have a Yahoo ID. You can then within the webmaster tools, submit your site. Though if you have done the xml site map properly, this will give enough information to the search engines to pick up your site. Make sure to go back and review your webmaster tools, as they give you tons of good information to help you to continue to tweak your optimization, content, broken links etc. For more information, I will be speaking at the Company of Women, Toronto Breakfast networking group on February 8th. See www.companyofwomen.ca to register. If you are unable to attend, I provide 1 hour slot Skype consultations. My Skype ID is insitecreations. As well will be holding other public seminars or one-on-one training sessions. Feel free to contact me if interested in signing up to learn more. The title tag, one of the most important factors in achieving high search engine rankings. Title tags are equally important as your visible text copy. It defines the title of the document and is required in all HTML/XHTML documents. First of all let’s not get it confused with your main heading on the page. It is actually located in the top line of your browser (blue background for IE and black background for Firefox, right beside their icons). This can either be inserted by your developer through the meta tags, or you can use content management applications that may have this function. The title must be able to stand on its own and clearly communicate the contents of the page to the reader. Yahoo! has an absolute cutoff in presenting titles of exactly 120 characters, which is substantially longer and gives the webmaster much more room to present longer titles. If your title exceeds 120 characters, the title will simply be cropped, whether the display title ends in a complete word or not. AltaVista, AllTheWeb, Google, MSN, and Yahoo! will display the copyright symbol(©), the trademark symbol (™), and the registered trademark symbol (®) in titles. You can use © or ™ to put the Copyright symbol in your title, ™ or ™ to put the Trademark symbol in your title, and ® to put the Registered Trademark symbol in your title, and all will appear correctly in AltaVista, AllTheWeb, Google, MSN, and Yahoo!, as well as others. Many site owners overlook this very important element to their website. 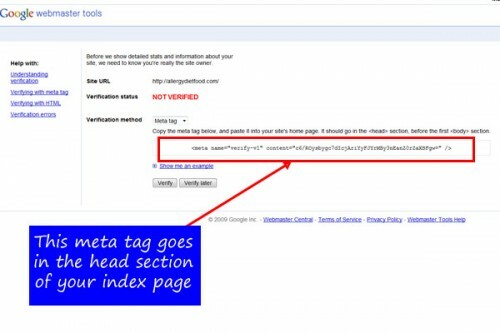 The meta description is important as it allows search engines like Google to either utilize a well written meta description written by you or it will take snippets of your copy – this is why it is important to have relevant keyword terms either placed in your description, or strategically placed on your website – but remember it must be end-user friendly and make sense to the visitor of your site. Take control of this process. Review each of your site pages and give your developer the wording that you feel best suited for that page. A lazy developer may just automate this process by using the same description on every page.